Isaac Woodard - Woodard, born in Fairfield County, South Carolina, grew up in Goldsboro, North Carolina. He enlisted in the United States Army on October 14, 1942 at Fort Jackson in Columbia, South Carolina and served in the Pacific Theater. He earned a battle star, for unloading ships under fire in New Guinea, and a Good Conduct Medal, in addition to the Service medal and World War II Victory Medal. He received an honorable discharge. On February 13, 1946 he was on a Greyhound Lines bus traveling from camp to his family in North Carolina. Woodard asked the bus driver if there was time for him to use a restroom. The driver grudgingly acceded to the request after an argument with Woodard. Once the stop was completed, Woodard returned to his seat without incident, and the bus departed. The bus then stopped, the driver contacted the local police (including Chief of Police Linwood Shull), who forcibly removed Woodard from the bus. After demanding to see his discharge papers, a group of police officers, including Shull, took him to a nearby alleyway, where they proceeded to beat him repeatedly with nightsticks. Woodard was then taken to the town jail and arrested for disorderly conduct. During the course of the night in jail, Shull blinded Woodard. In Woodard's own court testimony, he indicated that he was punched in the eyes several times on the way to the jail, and later repeatedly jabbed in his eyes with a Billy club. Despite newspaper accounts indicating that Woodard's eyes had been "gouged out", historical documents indicate that each bulb was ruptured irreparably in the socket. A short investigation ensued, and on October 2, Shull and several of his officers were indicted in U.S. District Court in Columbia, South Carolina. By all accounts, the trial was a travesty. The local U.S. Attorney charged with handling the case failed to interview anyone except the bus driver. On November 5, after thirty minutes of deliberation, Shull was found innocent on all charges despite his admission that he had blinded Woodard. The courtroom broke into applause upon hearing the verdict. Shull died in Batesburg, South Carolina on December 27, 1997 at the age of 95. 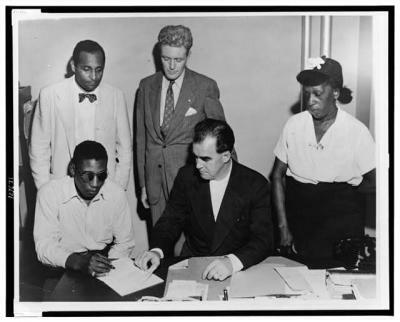 Isaac Woodard moved North after the incident and lived in the greater New York City metropolitan area for the rest of his life. He died in the Veterans Administration Hospital in the Bronx on September 23, 1992 at the age of 73. Jimmy Lee Jackson - Jimmie Lee Jackson was a deacon of the St. James Baptist Church in Marion, Alabama, ordained in the summer of 1964. On the night of February 18, 1965, around 500 people left Zion United Methodist Church in Marion and attempted a peaceful walk to the Perry County Jail about a half a block away where young Civil Rights worker James Orange was being held. The marchers planned to sing hymns and return to the church. Police later stated they believed the crowd was planning a jailbreak. They were met by a line of Marion City police officers and Alabama State Troopers. In the standoff, streetlights were abruptly turned off (some sources say they were shot out by the police), and the police began to beat the protestors. Among those beaten were two United Press International photographers, whose cameras were smashed, and NBC News correspondent Richard Valeriani, who was beaten so badly that he was hospitalized. The marchers turned and scattered back towards the church. 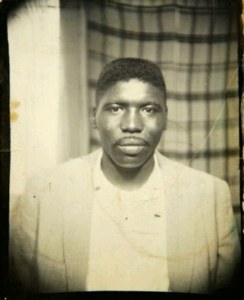 Twenty-six-year-old Jimmie Lee Jackson, his mother Viola Jackson, and his 82-year-old grandfather, Cager Lee, ran into Mack's Café behind the church, pursued by Alabama State Troopers. Police clubbed Cager Lee to the floor in the kitchen. The police continued to beat the cowering octogenarian Lee, and when his daughter Viola attempted to pull the police off, she was also beaten. When Jimmie Lee attempted to protect his mother, one trooper threw him against a cigarette machine. A second trooper shot Jimmie Lee twice in the abdomen. James B. Fowler later admitted to being that trooper. 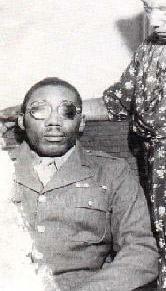 Although shot twice, Jimmie Lee fled the café amid additional blows from police clubs and collapsed in front of a bus station. After his death, an administrator at Good Samaritan Hospital, said there were powder burns on Mr. Jackson's abdomen, indicating that he was shot at very close range. 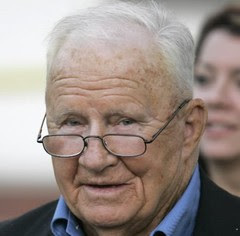 On 10 May 2007, 42 years after the crime, Fowler was charged with first degree and second degree murder for the death of Jimmie Lee Jackson and surrendered to authorities. Bobby Hutton, or "Lil' Bobby," - was the first to join the newly formed Black Panther Party for Self Defense. He was only 16 years old when he joined but already believed in the ideals that Seale and Newton had outlined in the Ten-Point Program; he was dedicated to serving his community.